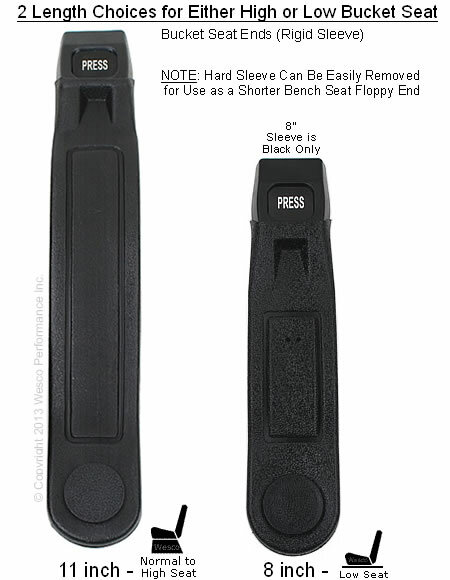 These are 2 point retractable push button conversion van seatbelts, lap belt with buckle only (no shoulder harness). 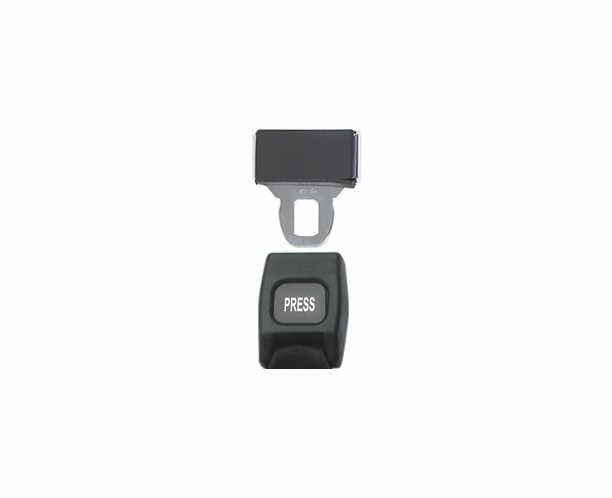 These are universal fit, so they are perfect for most any conversion van. They extend to 53" out of the retractor and of course are Federal Motor Vehicle Safety Standards (FMVSS) Approved! 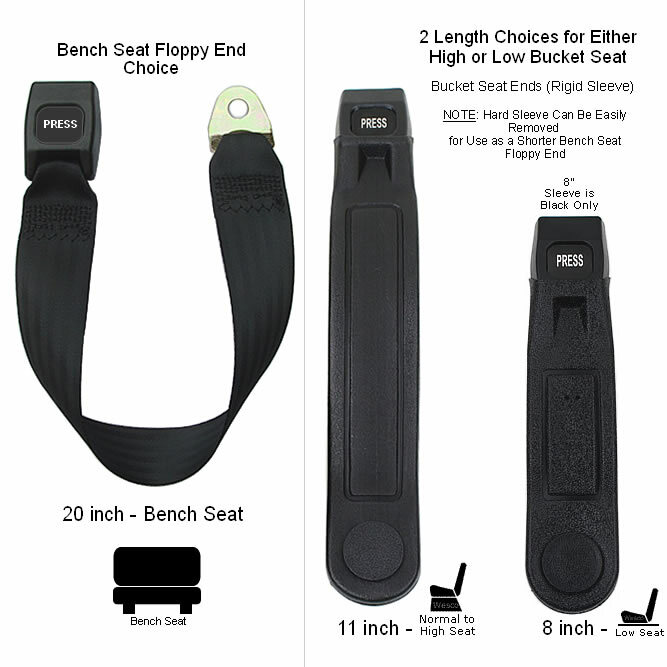 You can choose for either a bucket or bench type seat application. Price includes 1 seat belt for one seat / passenger. 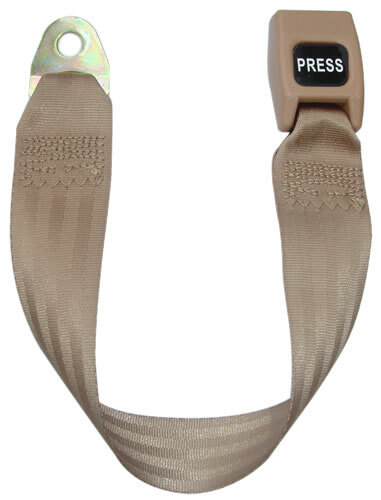 This is our Short Housing restraint, meaning that it is best used with a low seat configuration. 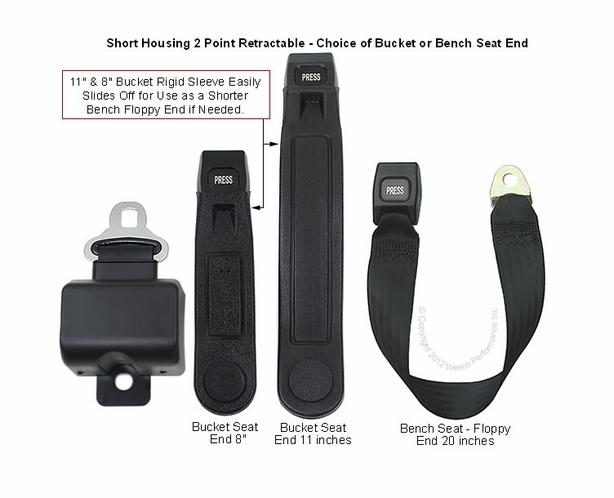 With higher seat applications, choose our Long Housing conversion van seatbelt. 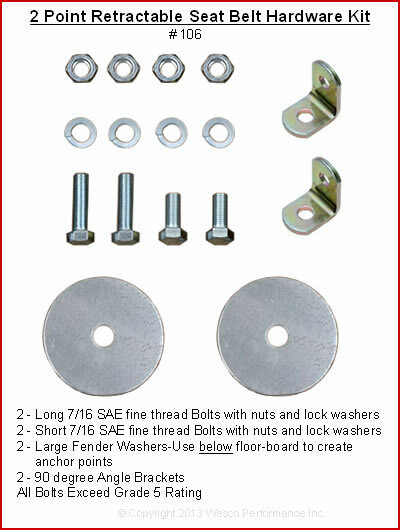 To see the optional hardware kit that you can add to your order below Click Here. 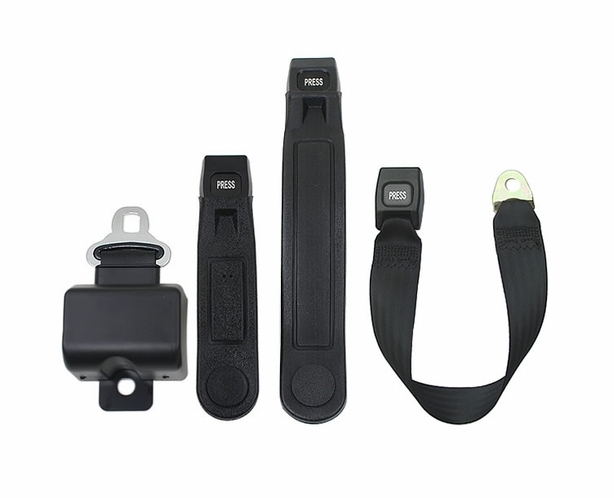 Click to view our SeatBelt Hardware Page. 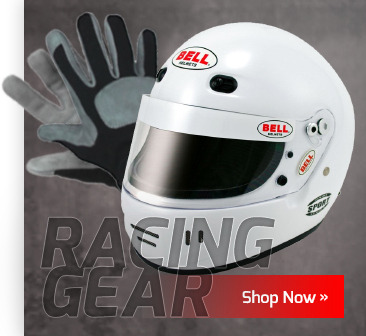 Safety tested and approved, sewn, assembled, packaged in the USA. 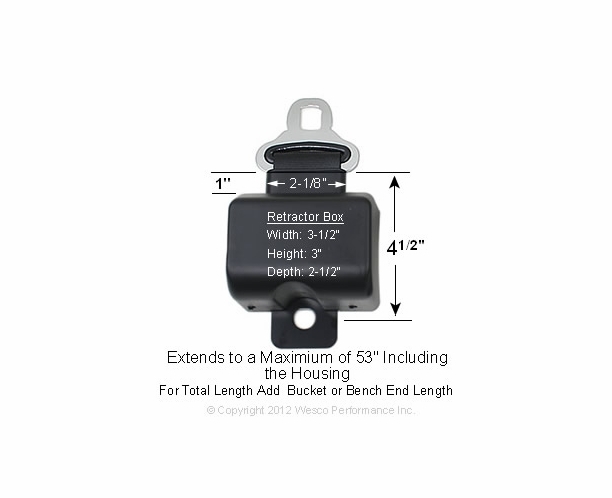 Click Here to view a photo of the type of end that you get with the "Bucket Seat" option.